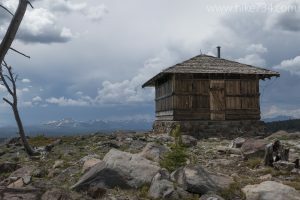 This wonderful day hike is a great mix of meadows, forest, and subalpine ridges on your way up to an old lookout on the top of Observation Peak. The trail immediately enters into lodgepole forest but doesn’t remain there for very long. The forest lined meadows are beautiful, and Cascade Creek is reached about 1mi/1.6km in. This creates great animal habitat in a picturesque scene. Cascade Lake comes into view right before you take the trail to Observation Peak that heads up the hillside. You continue bouncing in and out of trees, spending more time in open meadows with views of the Canyon Area as you steadily climb. Once on the ridge, Grebe Lake becomes visible. Hayden Valley comes into view with the Yellowstone River snaking through it. Enjoy panoramic views when you reach the rocky outcrop, topped with an old, unstaffed lookout. An alternative trailhead is the Cascade Creek trailhead that starts in a nice, big meadow, but spends most of its time in the trees and adds an additional 1mi/1.6km round trip. 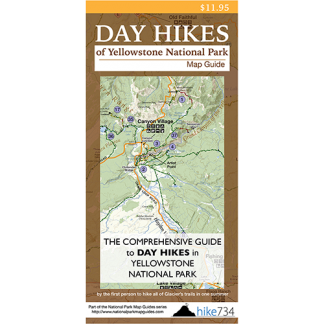 Trailhead: The Cascade Lake trailhead is located just north of Canyon Junction on the Grand Loop Road. The Cascade Creek trailhead is just west of Canyon Junction on the Norris-Canyon Road.